Radon Testing | Snellville, GA - Chris Curles AND ASSOCIATES, INC.
Radon is a colorless, odorless radioactive gas which comes from the natural breakdown (radioactive decay) of radium. It can be found in homes, schools, and workplaces. If left undetected and untreated it can pose health risks. Radon testing in Snellville, GA, is the only way to know if you and your family are at risk from radon. The EPA and the Surgeon General recommend testing all homes below the third floor for radon, while the EPA also recommends testing in schools. Chris Curles and Associates, Inc.’s radon testing services are performed with continuous monitors — specifically the Sun Nuclear 2800 — that are calibrated annually to the standards set by the EPA process. Test your property for radon is incredibly important; the EPA has declared it a Class A Carcinogen, with the Surgeon General naming it the second leading cause of lung cancer in the US. With our service, you can rest assured that your home or business is safe. Keep your household safe with radon testing in Snellville, GA. This toxic substance can lead to serious health complications and should not be ignored. Radon entering your home should be addressed as soon as possible, which is why Chris Curles and Associates, Inc. is here for you. We have the knowledge and expertise to verify that your home is radon-free. 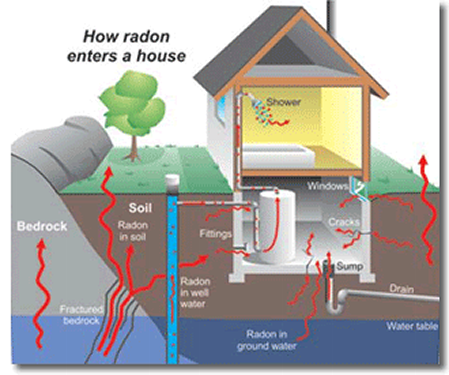 A home inspection is necessary for proper radon testing. We’ll come to you and perform an in-depth assessment of the house. From there, we can determine what type of service you need and make recommendations. If your home has been invaded by radon and you plan on selling it, removing the radon is vital for increasing the value of the property. With so many options available for radon testing services, it just makes sense to rely on the skill set of a company that has the experience you require. We understand that you want to keep your home healthy and clean, so we’ll go above and beyond to ensure the area is completely clear of radon. Our team is equipped to handle even the most complex properties. We’re a results-driven business, dedicated to your satisfaction. You can count on us to provide you with accurate radon testing. Contact us to find out more about our radon testing. We proudly serve customers in Snellville, Georgia, and the surrounding areas.